All of these gifts are priced under $100 and are available in Australia, online and in-store at your local shopping centre. 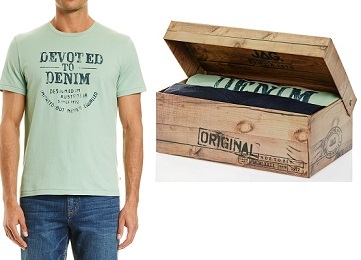 Two great summer t-shirt options packaged in JAG’s vintage inspired gift box – a plain v-neck tee and crew neck print tee. Both made in 100% lightweight cotton jersey with twin needle chain stitch on shoulder seams and grin cuffs and hem. Sure to become his new favourites for summer. Available online and in-store at JAG. 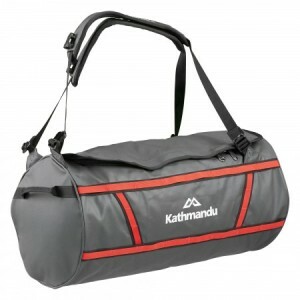 Simple, versatile construction and tough, durable fabric make the 35L Endoro Duffel the ideal expedition bag for travel adventures. Its three-way harness means he can carry it as a duffle bag, shoulder bag or backpack. Constructed of durable 840D nylon fabric, the Endoro has a Phthalate-free PVC coating for durability and water repellency. Available online and in-store at Kathmandu. 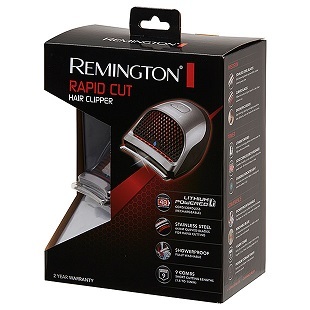 Remington Rapid Cut Hair Clipper is a Cord/Cordless (rechargeable) operation hair clipper with curves blades for rapid cutting. The clipper features stainless steel, self-sharpening blades, removable blade for easy maintenance and an ergonomic design for total control. A lithium powered battery allows for up to 40 minutes of cordless runtime and four hour recharge time. The clipper can be used wet, and features washout technology which flushes hair from the inside out. The pack includes clipper, 9 short guide combs, premium storage pouch, lubricating oil, cleaning brush, instruction book and power adaptor. Available online and in-store at Target. 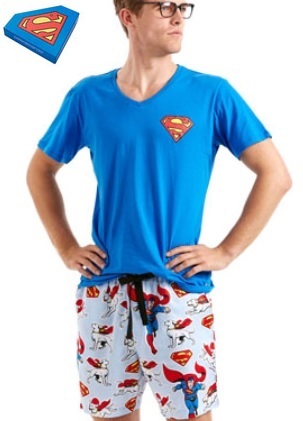 This men’s pyjama set features a Superman logo v-neck tee with Penny embroidered logo and Crypto and Superman print short with elasticised waistband. Set comes in Superman shield gift box. Also available: Mens Batman Boxer Pj Set. Available online at Peter Alexander and in-store at selected retailers. 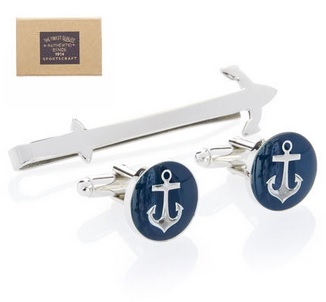 Add a sophisticated, nautical touch to his cuff link shirts with Sportscraft’s metal cuff links in silver and navy featuring an anchor design detail. An ideal gift, these cuff links come packaged in a gift box. Available online and in-store at Sportscraft. 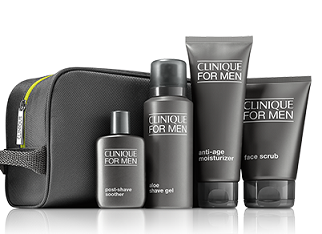 Clean Skin, Great Skin For Him with this Clinique for Men’s gift set. Great skin anytime, anywhere. Customised formulas meet the daily needs of normal to dry skins. It’s the science behind smooth, comfortable, revitalised skin for him. Gift Set Contains: Face Scrub 100ml; Alove Shave Gel 41ml; Post-Shave Soother 30ml; and Anti-Age Moisturizer 100ml. Available online at Clinique and in-store at selected retailers. 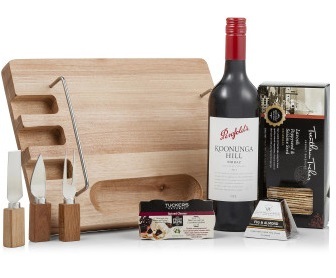 This practical cheese board gift includes a bottle of Penfolds Shiraz, gourmet crackers and spreads, along with a trio of cheese knives tucked away neatly in the board. Available online and in-store at David Jones. Razer is the world’s leading gaming brand, with a razor-sharp focus on being the best in-game. 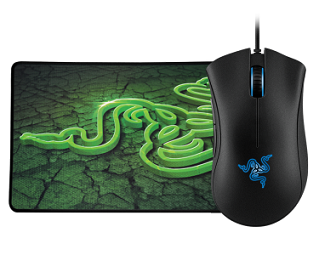 The Razer DeathAdder Classic Mouse is suitable for use with PC (Windows 7 and Windows 8) or Mac (Mac OS X v10.8-10.11). Available online at the Official Razer Store or in-store wherever Razer products are sold. This three pack of trunks from Hugo Boss are made for everyday comfort, crafted from a cotton and elastane blend that allows for a slight stretch and movement during wear. Available online and in-store at David Jones. 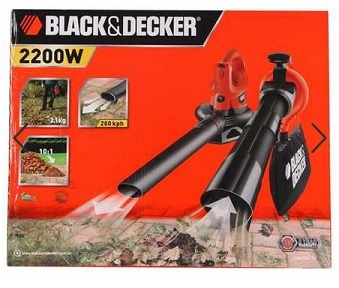 The high-performance garden vacuum and blower from Black And Decker provides the ultimate maintenance tool for keeping your garden tidy. With 260 kph blow speed, removing garden debris is easy. The three-in-one combo includes a high impact shedder; this quickly turns all debris collected into small compact mulch, perfect for composting. 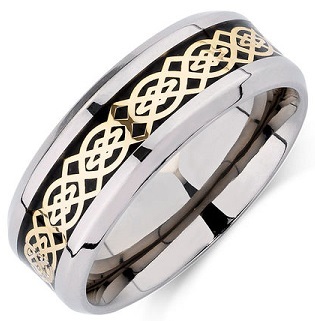 Available online and in-store at BIG W.
Express your unique style with this bold titanium ring featuring a strongly defined pattern in yellow carbon fibre. Surprisingly versatile, this is for the truly fashionable gentlemen. Available online and in-store at Michael Hill.